Yee-haar. Puzzled? Don’t be. The simple truth is Ducati’s 796 slots nicely between the first-timer Monster 696 and the more powerful Monster 1100 and it's one of biking’s easy-to-net pleasures. It’s not under or overpowered, not expensive to buy second hand or maintain, easy to ride and a looker to boot. Plus it carries one of the most recognisable brand names ever on its fuel tank: Ducati. Showa non-adjustable forks and the usual Sachs rear shock are a serious partnership – they’re tuned to work together so perfectly. Ok, so fast riding over bumps produces uppercut punches to the buttocks, but the first ride was on Italian roads that are far worse than the UK’s. 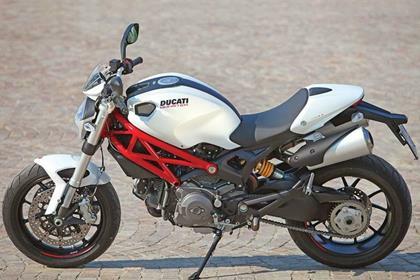 Thankfully Ducati’s Monster design team has seen the light and started to move the wide one-piece tapered handlebar up and away from the front wheel spindle (20mm higher than other models). There’s still an amount of bodyweight propped on the wrists but it’s better and picking up the pace gives instant relief. An agile chassis that gives feedback a plenty front and rear makes for a purposeful road chaser, in or out of town. The Monster 696 and 1100 are sorted machines that have revealed no major concerns for owners or potential buyers. This way of thinking surely applies to the 796. Aesthetically, Ducati’s constant battle to boost build quality shows with every new model – wiring and frame clips are mostly out of view, tip-top coating finish. Shame about the piss-poor mirror mounts that can come loose in the breeze. However much you pay, the amount of fun the Ducati supplies is worth considerably more than the bike’s asking price. It can rock along at a good pace, cut the mustard through traffic and it’ll even be a good blast on a track day. And it looks good to boot. 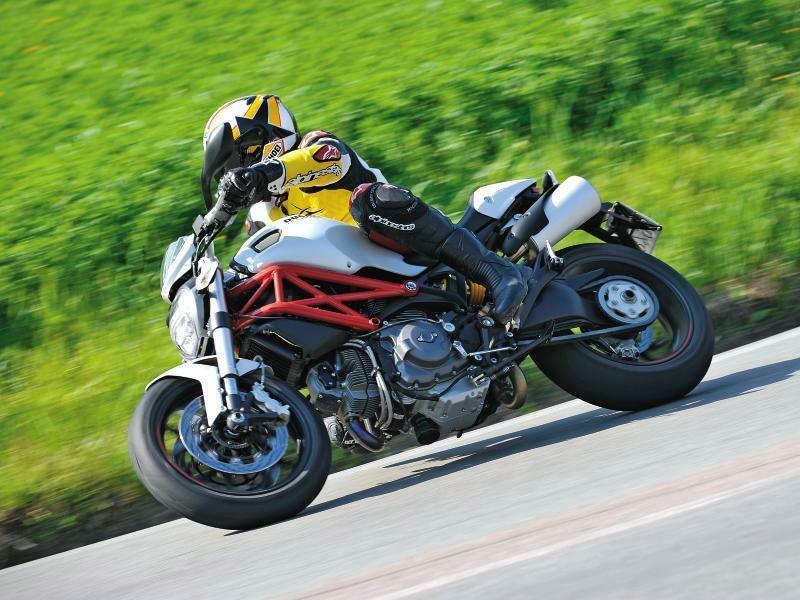 Find a Ducati Monster 796 for sale. On the face of it the 796 comes with very little by the way of toys or gizmos. However, the LCD race-replica dash while tasty is nothing new in Ducati-ville. Like the sporting 1098/1198 bikes the Monster carries a facility to record and download to computer throttle position, revs, gear selected etc via an accessory device. An ABS version is available for £7965. The ABS doesn’t detract from the rider’s pleasure one iota. 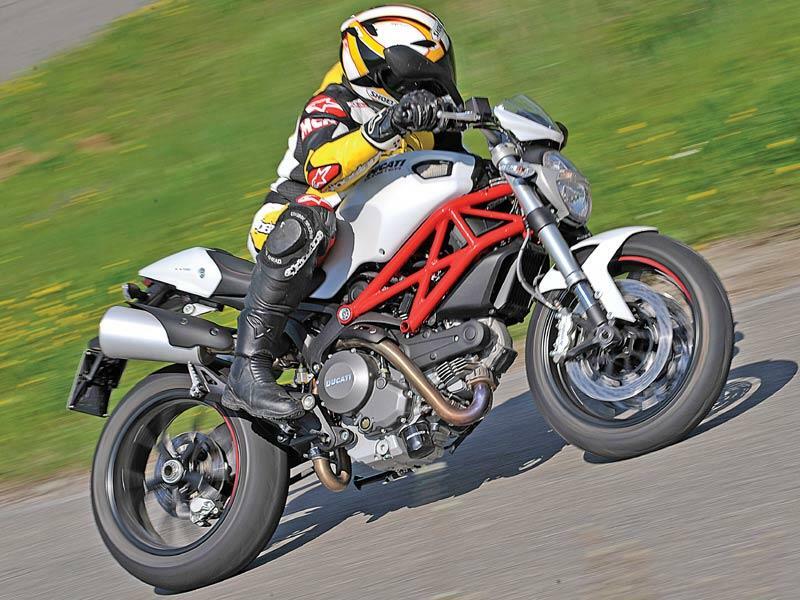 6 owners have reviewed their DUCATI MONSTER 796 (2010-2013) and rated it in a number of areas. Read what they have to say and what they like and dislike about the bike below. Best: 1) Design and style; 2) Riding position; 3) Engine responsiveness at medium and high rotations; 4) Racing spirit and comfortable on city traffic; 5) Maintenance cost. Worst: 1) Engine responsiveness at low rotations; 2) Heat near ankles and between legs; 3) Efficient loss and heating at low rotations; 4) Gear config makes 1st gear too long for city traffic; 5) Low autonomy (~200 km). Comfortable for long rides, good riding position for both city and road, good breaking stability. Mirrors tend to get loose. The Pirelli Angel GT tire is a better option than the original Pirelli Diablo Rosso II. It lasts longer and it is better in wet roads. Fun bike, great in the Scottish glen roads. Front can feel a bit stiff on some poor surfaced roads. Brakes are very good. 2 years old no corrosion, although used for summer runs only. Needs it belts done every 2 years or 7500mls. Minimalistic, I cannot even see the see speedo it is that small. Recommended..... a fun bike!!! not too powerful but with great character!!!! No gear indicator, no fuel gauge.... Why ducati....??? How expensive is it.....??? Great fun on the twisty bits, i am quite new to big bikes thought this was going to be difficult to ride, very supprised at how easy it is. My previous bike was an '08 fireblade and I now know what is mean't be character. The sound even with sock cans is great, the twin rumble, power delivery and popping on the over run are fantastic With me on it the M796 is much faster in the twisties as the riding position allows you to be in control. I miss the power for overtakes but can still bumble along at a healthy 125mph. I'm racking up the miles as this bike brings a constant smile....less is more!!! Since having a Suzuki SV650S as my first proper bike, I had a Honda CB1300S (excellent but not enough leg room), VFR800 (Rubbish fuelling) and a CBR600RR which was a very good bike, comfortable, but I just missed having any sort mid-range power. So I saw the 796 & went to my local dealer to see if I could get a test ride, but I could only get a test ride on a 696. After test riding the 696 I bought a 796 on the spot & picked it up a week later. I've now covered just over 2000 miles & fingers crossed no problems yet. It's my first duke & I always wanted one. I thought it might disappoint me because of my high expectations, but so far it hasn't one little bit. As an everyday road bike, I can't find one fault with it. The ride and handling is spot on & so far I haven't had any problems with the reliability of it. After always having japanese bikes and being told of how to be wary of italian bikes, so far, I don't see what all the fuss is about. It's excellent & almost seems cheap compared to some of the japanese bikes now. As long as it doesn't start having reliability problems or start costing a fortune to maintain, I don't see why I'd want to go back to any of the japanese four. 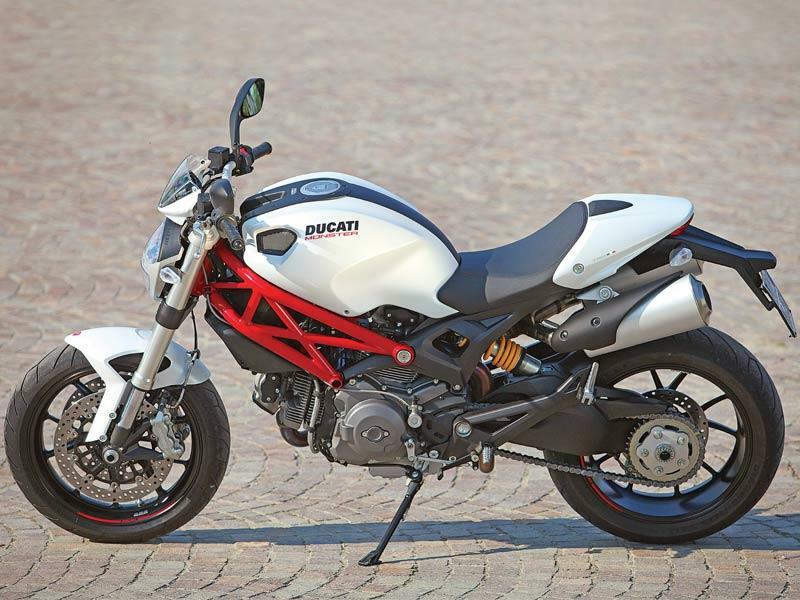 Monster 796 colours: did no-one tell the designers the red frame was staying?